This entry was posted on November 8, 2017 by Olivia. At HB we have always believed in the simple art of layers. Asymmetric lines and contrasting lengths. 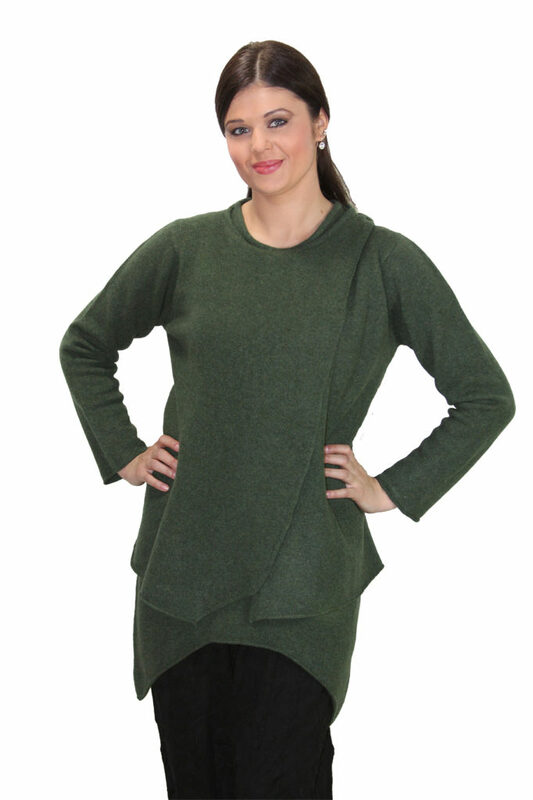 KBH007 tunic worn under KBH004 cardigan both in luxurious rosemary green Scottish lambswool .